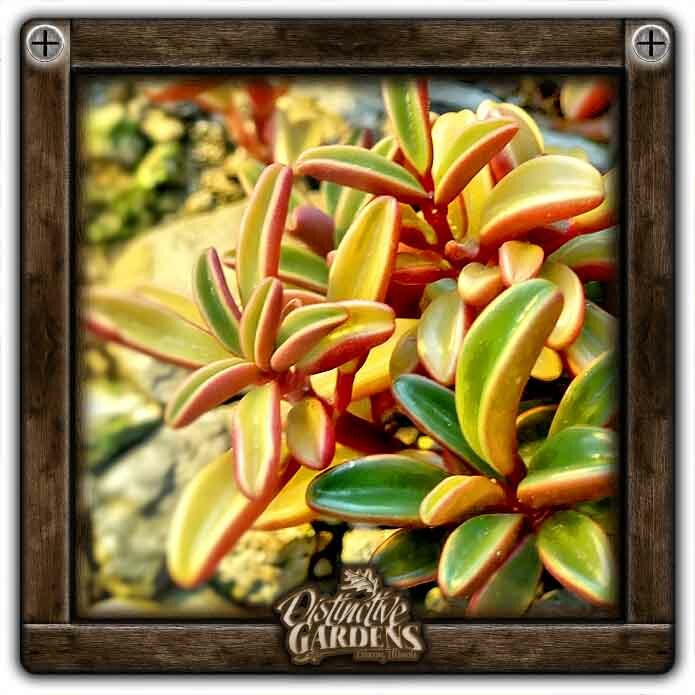 Mini shrub with glowing wine red stems and succulents leaves that are wine red except for the upper side which is green and v-shaped. Great for indoors. Likes to be kept evening moist in well draining soil.